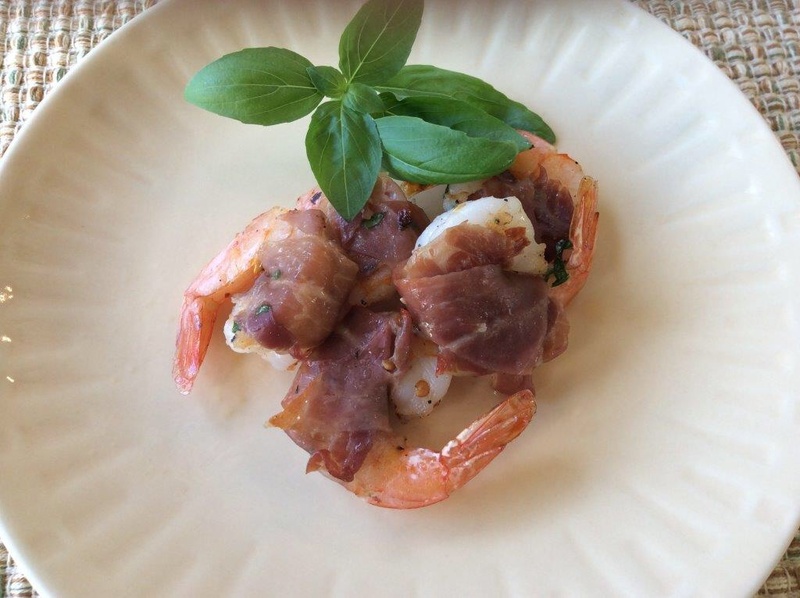 Prosciutto-wrapped Shrimp | Let's Eat! This recipe is easy to prepare and cooks up very fast. It is great as an appetizer but can be served as a main dish over a bed of Risotto or Pasta! In a bowl, add Shrimp, basil, olive oil, crushed red pepper, salt and pepper and mix. Cut the Prosciutto long ways and then in half so you have 20 pieces that will wrap the shrimp. Broil for 3 minutes in each side. Remove from oven and serve as an appetizer or make a main dish by serving it over Risotto or Pasta! This entry was posted in Appetizer, Recipes and tagged Prosciutto-wrapped shrimp, Shrimp and pasta, Shrimp and risotto, Shrimp appetizer. Bookmark the permalink.